Why can't I find my car model version? If your car model is not in the list, it is probably because the version is too rare for AutoUncle to valuate. Because AutoUncle valuates cars statistically, based on the actual used car market, a significant number of similar cars are required to give you an accurate valuation. Search for comparable cars for sale on www.autouncle.it and get an overview of the price levels for your model. Try to valuate the model with a similar version, which has more cars for sale. Sometimes, the valuations of cars with similar versions are close enough for a rough estimate, but it is recommended that you also check the prices of actual cars for sale. 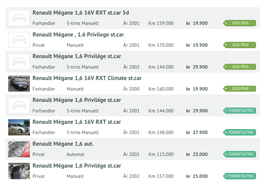 In case there are enough cars for sale, but the model options aren't displayed in the list, or if you have other questions, you can contact us at [email protected]. Optimize your asking price in relation to the time you can wait before selling it. All based on data from the actual used car market. “This tool is just genius, I'm recommending to friends and family” – Nicolas C.
For many years organizations have tried to valuate used cars by guessing how their market price depreceates as the milage increase and cars get older (known as the depreceation formula). Today it's clear that this method of valuating cars is unprecise - the reality is simply far more complex than what this method can handle. AutoUncle's technology is the first to make use of a market based (empirical) method that isn't using theoritical formulas, but actual used cars from the current used car market. A car valuation is takes more than 30 paramters into account (e.g. milage, equipment, year, engine etc.). This ensures that the valuation is trustworthy and in sync with the actual used car market. 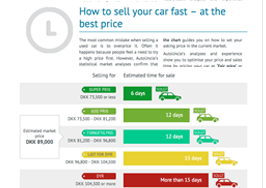 More about car valuations: How does AutoUncle valuate used cars? No matter whether you are buying a selling a used, it's important to know what the car is worth in the ued car market. AutoUncle valuates the car's current market price by comparing the car's make, model, engine, year, mileage, car type, transmission and equipment to other similar cars for sale on the internet. AutoUncle's market valuation is an estimate of a realistic asking price in the current used car market. The value of e.g. mileage depreciation is automatically calibrated to the market using advanced statistics. The valuation is solely based on cars and data from the actual car market. No simple depreciation models that only consider the car's retail price, year and mileage are ever used. AutoUncle gathers used cars from many used car sites which gives a statistical optimal starting point for correct car valuations on individual cars. 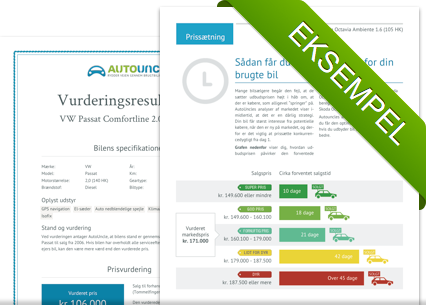 AutoUncle's valuation report and market price is a guiding tool and cannot be considered a factual guarantee for what you can get for your car when you sell it. The valuation is based on data gathered on the Internet that could potentially be incorrect, faulty and imcomplete. We always advice you to carefully take the car's condition into consideration before you buy a car. Professional assistance is often helpful if you aren't a car expert. 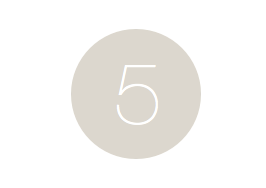 AutoUncle is not liable for errors in data from external sources. If you are facing a car sale it's important know what your car is worth before you put it for sale or advertise it online. What you can get for your used car depends mainly on the car's year, mileage, condition and of course, how similar cars are priced in the market. Car dealers usually offer less for a cars, compared to what you can get if you sell it privately in the market. Naturally, this is because a dealer's job is to earn a profit when he resells it. In most countries the dealer is also expected to revamp the car and sell it with a warranty. What you should sell your car for also depends on your own sitaution. If you are in a hurry to get a new car you may be willing to put it for sale at a lower price. The lower price you put the car for sale at, the faster you are guaranteed to sell it.